Publisher of craftsmanship Dymant just opened its doors to fashion enthusiasts and more generally fans of beautiful objects. Each month, the French startup works with luxury craftsmen to design, produce and sell limited edition objects to a demanding clientele. “What gift can you make to someone who already has everything?” co-founder and CEO David Alexandre Klingbeil told me in a phone interview. “All of our creations are limited and numbered editions so that you know that you won’t find the same object at your friend’s house,” he continued. Objects will range from $500 to tens of thousands of dollars. Yet, even if you have enough money, you have to be invited by an existing user to become a member of the club. With those two key elements, Dymant will remain an exclusive experience for a while. Instead of simply selling the objects on a private website, Dymant has a strong editorial focus. Every month, the startup will select a new theme and find craftsmen to create objects around this topic. Then, everything is put together in a digital magazine — Volume 0 is named “The Secret”. 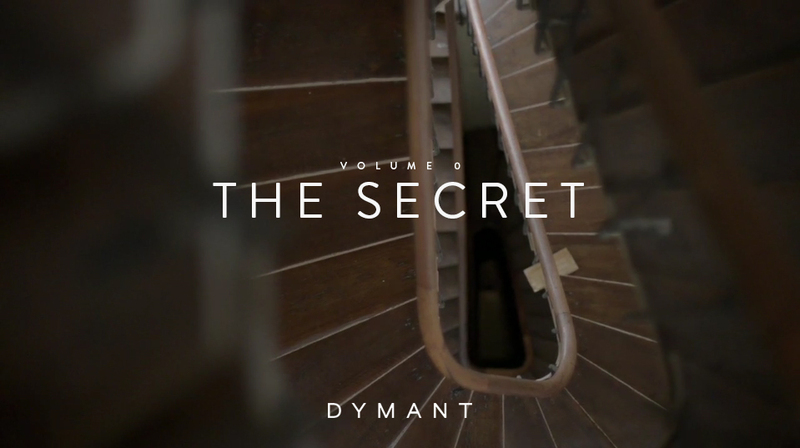 Dymant asks an artist to make the cover for each volume. For example, for this first cover, a video artist made a one-minute video showing hidden doors, keys and other dreamy images. You flip the page and find a foreword written by a famous luxury person — L’éclaireur founder Armand Hadida wrote the first one. And of course, you can see the objects of the month. Every page comes with an explanation about how each object was made. Craftsmen have a story to tell and Dymant wants to be the platform to unleash those stories. The volume is available on Dymant’s website and works well on a computer, a tablet and a phone. When I asked Klingbeil what were the objects available this month, he didn’t want to answer me — Dymant is a secret club after all. But he said that the company works with leather craftsmen, woodworkers and jewelers (you can expect black diamonds for example). The team of four has raised $1.35 million from Partech Ventures and IDinvest. Now available in Europe and the U.S., Asia is already the next target. Early next year, the startup will expand to Asian markets.